News Corp’s AllThingsD reports that News Corp will discontinue its Daily iPad app publication. 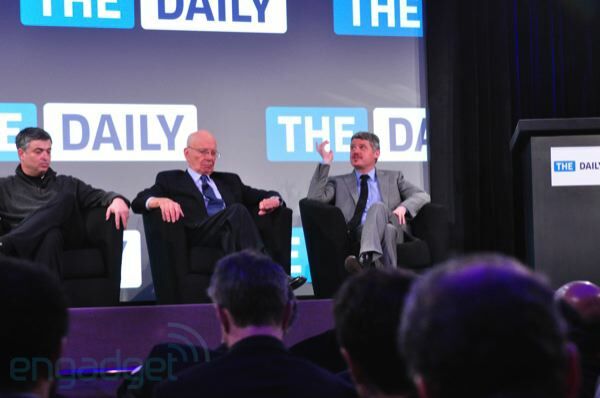 Apple’s Eddie Cue shared the stage with News Corp representatives, including Murdoch (Steve Jobs was originally scheduled to attend), when the Daily launched as the iPad’s first dedicated news publication. Rumors of the closure began in July. The app was hampered by poor technology that made navigation much slower than lighter magazine apps. It also was hampered by the lack of compelling content that couldn’t be found elsewhere on the web for free.